Moving to a new house never fails to rank as one of the most stressful experiences in our lives. From cancelling utilities and organising mail redirections, to the dreaded end-of-lease clean, moving house is always time-consuming, stressful and dirty. No matter if you started the process weeks before your scheduled vacate date, for even the most experienced house-movers, there’s the inevitable rush at the end to complete all the necessary tasks and tie up the loose ends. Fail to plan, plan to fail as they say. Leaving your end of lease clean to the last minute will almost guarantee a complaint from the landlord. Aim to have your property fully vacated and professionally cleaned first thing in the morning – or ideally, the night before. Wet, streaky floors, missed areas and patchy polishing are sure-fire ways to bring on a battle for the bond. If there’s one time to give your DIY dreams a miss, that’s during your end of lease cleaning! Enlist the professionals. A professional end of lease cleaning company not only own all the equipment and products to ensure a perfect clean, they also know EXACTLY what landlords in Melbourne are looking for. 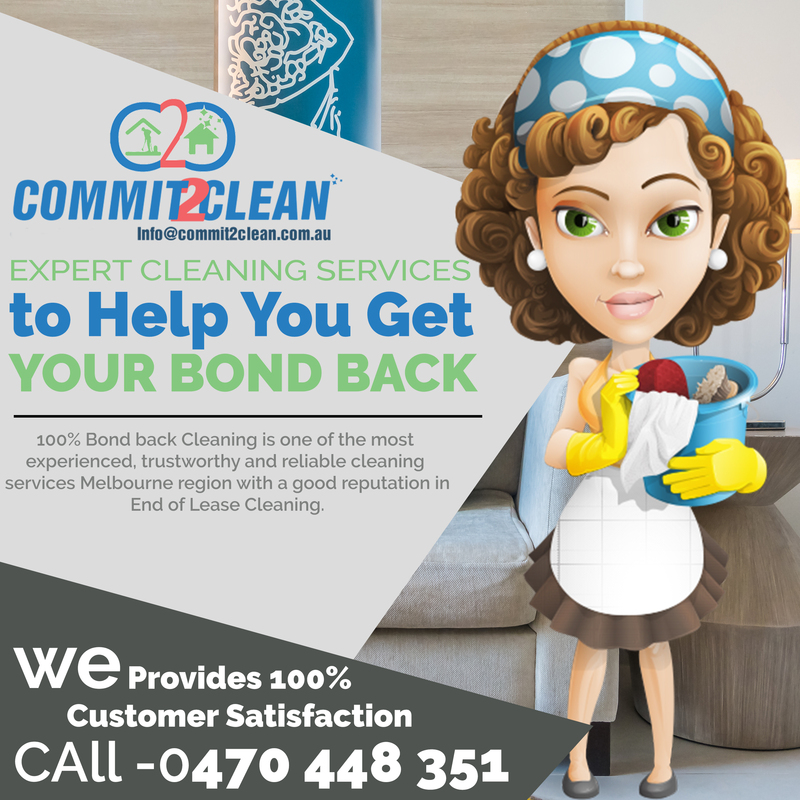 Firms such as Commit2clean Melbourne meticulously run through a checklist that’ll get your bond back 100%. 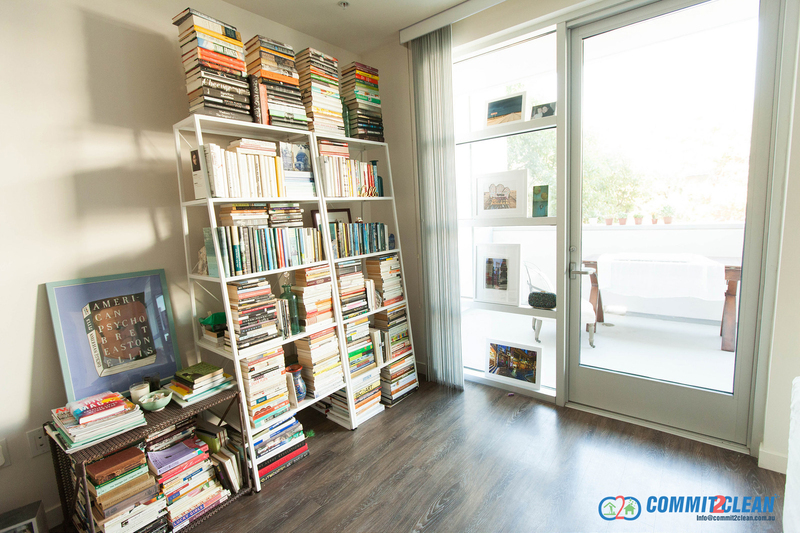 It’s easy to throw your general upkeep to the curb when you know you’re about to move house. Letting basic cleaning tasks slip through the cracks only makes the big end of lease cleaning task even bigger! Try to keep up with your routine of regular house cleaning as much as you can to avoid higher costs and panic when you move. It sounds simple, but the external areas of your property need to be spick and span if you want to get your bond back. Balconies, courtyards, backyards and patios are often overlooked in favour of the internal areas of the home, but these are a target for eagle-eyed landlords. You may think a DIY spot-clean using water and household cleaning products will get your landlord’s tick of approval – wrong! Soaking carpets and using the wrong products can often make the problem worse. Have your carpets professionally steam cleaned by qualified end of lease cleaners – the results will speak for themselves. Out of sight, out of mind… not quite. A hive of germs and bacteria is the humble dishwasher. Clean your dishwasher the day before by thoroughly cleaning the filters and running two hot cycles. Likewise, pay attention to your oven. Start the process at least a few days before, and if it’s too overwhelming, hire a professional oven cleaner. You may be pushed for time but resist the temptation to overlap your cleaners with your removalists. Not only does this make the job easier for the cleaners (and cheaper for you), it prevents dust and debris from recirculating through the home and all over the floors after the job is finished. Given a choice between, cleaning your house and going out what would you choose? Obviously going out or probably just relaxing or doing something we all love. Normal cleaning or regular cleaning is a lot more different than bond cleaning or end of lease cleaning is. it doesn’t involve only folding your clothes or doing your regular everyday chores. It involves an intensive cleaning routine from top to bottom with missing even a corner. It is not something we’d willfully and out of love choose to do specially when we have another house to look after. 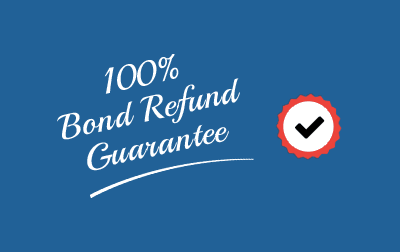 Hire the most affordable bond cleaners in Melbourne. We also carpets steam clean and vacate cleaning services. More than packing and moving your stuff, cleaning is the job we all dread, especially when we know we have to clean our new home as well. Cleaning your old house is done to fulfill two requirements- One, is to get your bond money back. The other is to help and assist the new family into settling down well in their new home without any issues. This will make them comfortable and will help them feel at home. Moving can be pretty tiring and stressful, book the most affordable bond cleaners in Melbourne and make sure you don’t pull your hair off at the last minute if you can’t clean the house yourself. It is never easy to clean years and years of dust accumulated in a few days that too when you have numerous other things going o in your mind. Moving out of your home is as exciting as it is stressful, the happiness of either moving in to a better home or your new home is incomparable. But the stress of cleaning your old house is what keeps us worrying. That is because, if the house isn’t clean enough or isn’t up to the standard your real estate agent or our land lord demands then you could stand to lose a potential part of your bond deposit. Our cleaning experts are bang on prepared to take over the tiresome and dubious task of cleaning your property whether residential or commercial. Whether the property is big or small, the same rules of cleaning apply to every cleaning area, considering the cleaning to be done is end of lease cleaning or exit cleaning. The atmosphere in a house or a commercial office or property tends to be more positive and goal inclined than a property that is covered with dirt and has never been properly cleaned. When our team is hired for a job and then called on a specific date, we make sure we reach on time and with all the requisite equipment required to spot clean any property- whether commercial or residential. A major part of our clientele are the customers who repeatedly trust us with cleaning their properties, not just end of lease cleaning but carpet cleaning, commercial property regular clean and pest control. They blindly trust our services because we never disappoint. You can pamper yourself with the extra time and money you saved from hiring us, we promise to take care of the rest. This is a general guide to spot and stain removal for common household stains. The guide is separated into categories of stains and the recommended procedures for that category. Please note that this guide is only to be used for recommendations and is not in any way comparable to professional spot removal. Some cleaning agents have health risks, and can cause carpets to discolor, delaminate, or even dissolve the fibers. With that said, Proceed at your own risk, and when in doubt, it’s always best to hire a professional. 1) Always treat spots and stains as quickly as possible. The quicker a stains is treated, the less time it has to soak into the carpet or fabric. 2) Always remove as much of the staining substance as possible by scraping, blotting, or vacuuming before applying any cleaning products. 3) Always pretest in an inconspicuous area before applying any cleaning agents to your carpet. There are many different types of carpets and they will all react differently with cleaning products. 4) Always follow the manufacturers instructions when using any cleaning/spotting agents. 1) Extract as much excess soil as possible. 7) If spot still remains reapply the Urine Stain Remover and leave to dry. 8) Rinse and extract after Urine Stain Remover dries. 5) Rinse and Extract the area. 6) Repeat steps 2,3,4, and 5 until stain is removed. 8) As a last resort, you could try a rust stain remover available at most hardware stores. NOTE: Rust removal products can be dangerous and corrosive; manufacturer’s directions should be followed closely. 9) Rinse and neutralize the areas as necessary. Read Here More Tips For Carpet Cleaning. 5) Repeat steps 2, 3 and 4 until stain is removed. 6) If spot remains, try an oxygen based stain fighter solution. Ammonia can also be used. 2) Rinse, Extract and Neutralize the areas as necessary. 2) For gums and waxes, use a freezing gum removal agent. Then break the soil up and vacuum. 4) Blot with a towel. 5) Rinse and neutralize the area as necessary. Are you searching for carpet cleaning tips? Confused on must you interact yourself or should you rent a professional? Or would it be easier to shop for an entire new carpet? Well. we are here to assist you’ll the queries licking your mind when. we’ve tried to incorporate each potential plan of cleaning your carpet and your carpet appearance new again. no matter what number tips we bring for you to wash your carpet, you’ll forget all after you have a spill. we’ve a fast relevance assist you out.
. Take some time while vacuuming a carpet particularly for those of a luxurious carpet during which dirt is deeply embedded. check every section many times as one pass wouldn’t be enough. Tile may be a very fashionable and versatile possibility for flooring. whereas most kitchens and loos square measure outfitted with tile floors, additional and additional householders square measure selecting to use tile throughout their entire house. Tile floors square measure sturdy, long lasting, they hamper on dirt production, facilitate keep your home freed from dirt mites and different irritants, and square measure straightforward to stay clean Melbourne. However, even with thorough routine cleansing, tile will begin to quieten down lustrous over time. End of lease cleaning is very important and it’s best to require help from the professionals for this. no one will the duty higher than end of lease cleaners Melbourne. With the present work load on you, there’s no need to take any further pressure and worry about finish of lease and its cleanup. feat this with the professionals would be a wise move. The dedicated and skilled professionals are here to save you time and energy. They have a variety of cleaning packages that are available cheap costs. the tip of lease cleaning services handle the tip of lease cleansing round the area each day. they supply full-fledged services with the mandatory information of precisely how and whatever quite cleanup you or your property owner is requesting. you can be assured of the high normal cleaning these services will give you with. obtaining these professionals for your work can be useful because it saves you from shopping for cleaning product that may hardly have any use later and additionally price you lots along with your own labour. These professionals are equipped with all the mandatory provides and solely appointing them to urge your work done is all you wish to do. When handling black water – class three water damage, it is vital to quickly contact an expert, certified remedy company. To clean water harm from flooding, many steps can typically be taken to handle the property damage. First, it’s vital that every one occupants of the property are safe. Flood water will contain harmful organisms like viruses, parasites and harmful bacterium. If timely cleaning does not occur within 24 /7 hours, fungi and mould will quickly unfold. Commit2clean is one of the top house cleaning service End of lease cleaning, Carpet Cleaning and Office cleaning service in Essendon and Melbourne suburbs. It has 170+ 5-Star reviews on Google. With regards to carpet cleaning for your home, you can either do it without anyone else’s help or contract a carpet cleaning company in Melbourne. Cleaning the carpet alone can be an overwhelming undertaking, particularly if the carpet is too huge and filthy. Moreover, you may be excessively occupied with, making it impossible to try and consider cleaning it yourself. This leaves you with the just a single choice searching for carpet cleaning services in Melbourne. Utilizing proficient carpet cleaning services fundamentally helps in keeping your carpet new and expands its toughness. Below Are Some Reasons to Choose Professional Carpet Cleaning Services In Melbourne. You must have tried to clean the whole carpet yourself and swore how you will never waste your time doing it again. To be completely forthright, carpet cleaning is an intense activity. You can spend the whole end of the week in addition to a piece of your Monday morning as yet cleaning it. What’s even worse, you might not clean it as effectively as it should be. With carpet cleaning services, you should simply to influence a telephone to call and everything will be done in almost no time, if not hours. If you think that saving money by carpet cleaning individually can be a decent choice, at that point you are incorrect. Truth be told, numerous mortgage holders wind up bringing about additional expenses particularly in the wake of harming the carpet amid the cleaning procedure. This is on the grounds that they can’t utilize the correct items and in addition the correct cleaning system. As you probably are aware, some cleaning operators can be brutal on the carpet material particularly if not utilized as a part of the correct estimations. Unlike in the past where you had to carry all your carpets to the carpet cleaning center, things are totally extraordinary today. Most cleaning organizations offer door to door services to their regarded clients. You essentially set a meeting with them and they will get down to work within minutes. This implies you won’t need to endeavor a lot of endeavors to have your carpet washed. Hence, proficient carpet cleaners are more advantageous, in this way sparing you time and vitality. If you look at most carpet cleaning companies, you will find that they work a decent number of professionally prepared representatives. This guarantees they will have the capacity to manage any sort of crisis. Carpet cleaning services are quick and proficient, as well as offer determine brings about the coveted way. For this situation, quality services mean utilization of exclusive expectation items and fitting strategies to guarantee that your carpet is cleaned from the earth and different substances. Since your carpet is being taken care of by excellent experts, methods for carpet cleaning you are ensured for having commendable services. It’s great to realize that normal cleaning guarantees that the carpet keeps up its appeal and furthermore appreciates a more drawn out life expectancy. Commit2clean cleaning services are dependable and financially savvy. Moreover, utilizing proficient carpet cleaners can guarantees that you get the most ideal outcomes for a perfect carpet. Along these lines, make your home a more advantageous place by utilizing proficient carpet cleaners constantly. Influence your carpet to emerge and give your home an exceptional look. Commit2Clean is best carpet steam cleaning and end of lease cleaning company with over 154 five star google reviews !! All our customers are really happy with the services we provide! Most home and office owners prefer to use carpets as their flooring option because they are not only warm and soft, but they also make the whole family feel at home. Therefore, having clean carpets play an integral part in this feeling. Carpet Cleaning does not only entail vacuuming because this is not even enough to keep carpets spotlessly clean through the activities of the day. Therefore, there is a lot more that is required when it comes to Carpet Cleaning Hence, going for professional cleaning services is the best way of ensuring that your carpet is in good condition at all times. 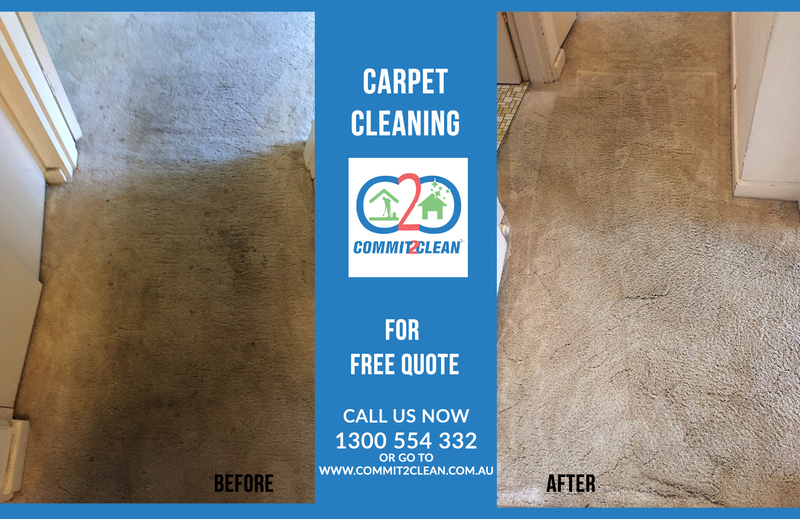 There are various benefits that come with Commit2clean Carpet Cleaning Melbourne, not forgetting to mention that clean carpets provide a good feeling from walking barefoot on cleaned carpets. Therefore, you should enlist the services of professional Carpet Cleaning companies who will create a new feeling for your home through commit2clean. However, there is a notion going around that professional companies use damaging chemicals that may be detrimental to your health. Nevertheless, this isn’t always the case. Commit2clean Carpet cleaners help you decrease the levels of allergens in your office or home. This is because when you have a carpet at your home or office, it accumulates bits and pieces of dust that come from the windows, shoes or find their way into the house in various types of ways. Therefore, a carpet which can be compared to a filter keeps all those bits and pieces of dust within its fibers. These bits and pieces can cause irritations and allergy flare-ups in the event that kids play on the carpet. Nonetheless, professional Carpet Cleaning helps to get rid of these harmful particles thus you can allow your kids to play on the carpet at any time of the day. Furthermore, Commit2clean Carpet cleaners help to avoid or reduce depreciation of the carpet fibers. Various forms of dirt, microscopic materials, and stains that find their way into the carpet can wear down your carpet fibers, more so in areas where there is a lot of traffic. These particles will ultimately lead to a distinct roughness when walking bare feet on the carpet, and in time this will require you to replace the carpet within a short period of time. However, cleaning your carpet helps to extend its lifespan thus saving you the cost of replacing it prematurely. In addition, there are professional carpets cleaning techniques that are eco-friendly. These methods include hot water extraction which uses hot temperatures to get rid of unwanted particles that exist on the carpet thus helping to not only remove stains on the carpet but to also sanitize the carpet. Therefore, green Carpet Cleaning has come as a reprieve to most home owners because it is not only used on any type of carpet, but it also helps to ensure that no residue is left on the carpet. For this reason, homeowners can relax that the cleaning exercise does not come at the expense of the environment. Commit2Clean is best carpet steam cleaning and end of lease cleaning company with over 152 five star google reviews !! All our customers are really happy with the services we provide! Just as the garments we wear need regular washing to keep them fresh and hygienic, our carpets and upholstered furniture require interrupted cleaning. Accumulated soil and grit are major causes of reduced carpet and fabric life. Not cleaning your carpet can enable destructive and health harmful mites and bacteria to breed. Cleaning costs are minimal when you consider the replacement cost of carpets and furnishings, so regular cleaning makes economic sense too. Life is busy. Sometimes we feel we barely have enough time to do the important things in life, left alone manage to keep a home tidy. Pulling out the vacuum cleaner from the cupboard can sometimes feel more like a chore than an enjoyable task. Keeping your carpets clean is important for many different reasons. Consider this. Your carpet is under your feet and everything in the home eventually settles there. Many vacuum cleaners now have clear bins to show you how much dirt there has been collected. Little do most of us realize though that what we are seeing is only a tiny fraction of the soil that a carpet contains. What’s visible when you empty your bag or cylinder is only a fraction of whats really in your carpet pile. Regular professional cleaning of your carpet and soft furnishings can help to increase their life expectancy beyond that of what it would have been without. Professional cleaning can ensure removal of most stubborn stains and dried in spillages leaving your carpet and soft furnishings fresh and clean. Professionally cleaned carpet and soft furnishings can mean complete removal of general dust, soil and accumulated debris, leaving them as good as new. Professionally cleaned correctly, even the oldest of carpets and furniture can look brand new leaving you with that new fresh feeling again. Professional cleaning helps to reduce the risk of allergies, mold and many other potential problems and ultimately make your home safer to live in. Most odors can be eliminated by general professional carpet cleaning in Melbourne. We offer specialist treatments to ensure a fresh, clean smelling carpet and soft furnishings. Regular vacuuming is a necessity to keep your carpets clean and hygienic, but this only cleans the surface of your carpet, the bit that you can visually see. Some of you may use other equipment to help maintain and preserve your carpets, like shampoo and steam machines. Most domestic vacuum cleaners, shampooers and steamers (even the more powerful ones) still don’t have enough power to get rid of the deep-down dirt and germs. Here at Commit2clean we have the highly sophisticated equipment and trained technicians with years of experience to know how, when and where to use the right procedure for the right job. Why should you hire a end of lease cleaning service in Melbourne? Do you live in a magnificent luxurious home with luxurious furniture and quality flooring and walls that require real distinct and delicate way of cleaning? Sure, if your home is just an apartment, you are capable of handling the cleaning yourself. But in the case of a high-end luxury apartment in Melbourne, normal daily routine cleaning is not good enough due to inadequate knowledge and time to perform quality cleaning for such homes. For example, the standard of cleaning required in the sprawling penthouse in Melbourne is not the one a maid can handle. Many things are attached to cleaning service to make it a successful exercise. Improper cleaning products used by some maids are not only doing substandard work but also leave marks or stains on the surfaces such as walls, furniture, floors, carpets, and much more. These stains require more time to remove from the surfaces. However, end of lease cleaning services uses modern cleaning methods and equipment with in-depth knowledge of caution for various facilities and surfaces to get rid of all tough stains. You own a luxurious house, and only a luxury cleaning service can give you quality, timely and professional cleaning that can give you a huge return on investment. You would ask me if you are investing. Yes, it is an investment as you stand to gain in the long run as you save the cost of replacing your faulty or damaged household facilities due to improper cleaning. Many advantages are attached to the hiring of high-end luxury cleaning service, and they are ranging from prolonging life of your furniture by 30%, cost effectiveness, quality and professional cleaning, to adding value to your home. Apart from this, end of lease cleaning services are committed to taking their time to carry out a professional cleaning service for your home. However, luxury cleaning is not only applied to the home. Standard offices, halls for parties or your party ground can also use the service. COMMIT2CLEAN has gathered in this article the reasons you need to hire end of lease cleaning service for home. End of lease cleaning service is guaranteed to deliver quality services which are carried out under close supervision with attention to details. Your walls, floors, kitchen and bathroom fittings, carpets are given standard and quality touches to bring out the beauty of those luxurious facilities. Professional cleaning service assures that you will get excellent cleaning service with proper cleaning equipment. To get the best out of your home, end of lease cleaning service today. Home cleaning service outcome is whole health and hygienic environment. Considering the quality of cleaning service to be provided, you are assured of a healthy environment that is free of germs, viruses, fungus, and much more. The goal of every cleaning activity is to promote a healthy and clean environment for the family and all the occupants of the house. However, end of lease cleaning does more than that. Generally, the advantages of home cleaning are noticeable by the entire family as every nook and crannies of the home are given first-hand maintenance. The home cleaning gets rid of all these and reduces the chances of infections in the home. A periodic hiring of a end of lease cleaning service can contribute to the overall health of the family. Cleaning homes like those found in Essendon VIC Melbourne can be tedious due to the luxurious nature of the home. The cleaning to be carried out in these homes is expected to be perfect and meet up the standard as required. It means that Home cleaning is needed and not just a cleaning. Therefore, the amount charge for cleaning is affordable compared to the benefits of the service. The type of cleaning activities are not what your maids or family members can handle as the works require professional knowledge to achieve the goal of perfect cleaning. Save your strength by employ the hands of end of lease cleaning service. It is excellent and profitable. Some of the Home cleaning tasks can be challenging and stressful. It is more convenient to employ a cleaning service to handle all the hassles involved in luxurious home cleaning. Consider cleaning tasks such as deep dusting, vacuuming, climbing of high building to clean exterior surfaces, disinfectant spraying, and much more. They are tedious and risky tasks that may be dangerous sometimes. It is not something your maid or household members can handle. It requires professional cleaning service to perform those tasks without injury or infections. They are trained to do it safely and perfectly. Don’t stress yourself to give your affluent home the required cleaning it deserves. End of lease cleaning service will do it all. Hiring of a end of lease cleaning service tend to save you more in the long run. Many people in Melbourne assume that professional cleaning service is expensive and may not be needed. Many concluded due to their previous experiences they had with some cleaners. However, when it comes to end of lease cleaning service, you tend to save more considering their quality of service and its impact on your household facilities and appliances. Cleaning service is carried out with more care to give the best and at the same time, to maintain your facilities. I’m confused…Where can I get trusted end of cleaning service in Melbourne? 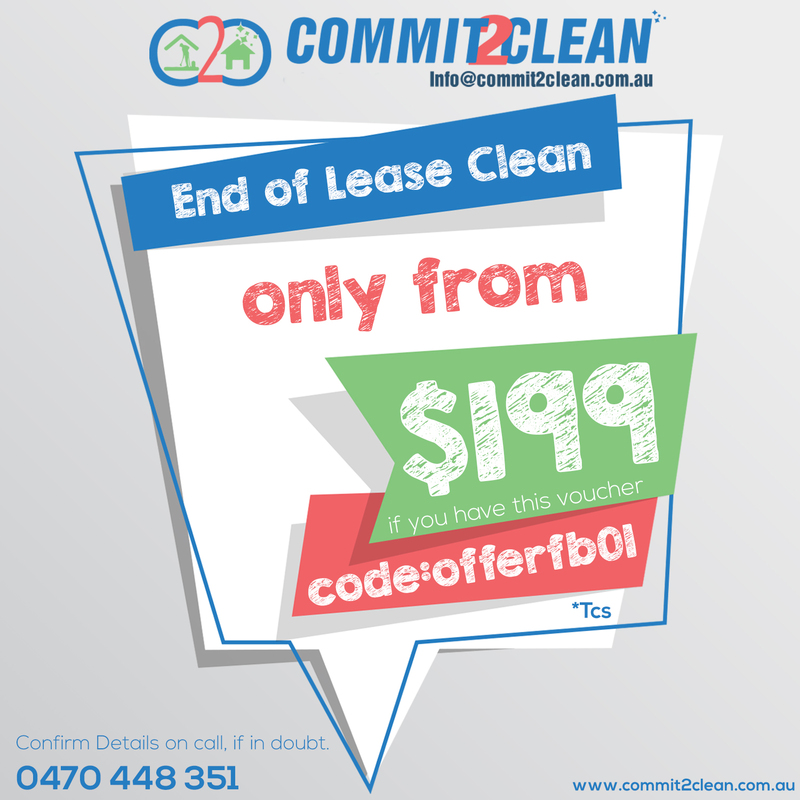 Don’t be confused, as there is only one end of lease cleaning service in Melbourne. COMMIT2CLEAN is a high-end luxury house cleaning service based in Essendon and services mostly all inner suburbs in Melbourne. 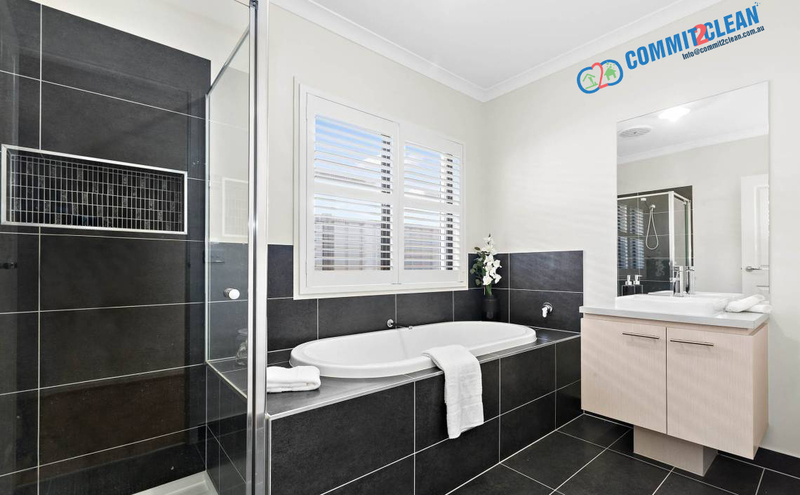 With over 135 reviews on Google with a 5-star rating, COMMIT2CLEAN is considered one of the most respected cleaning service providers in Melbourne. Our cleaners service and maintain a bunch of homes in Melbourne. At COMMIT2CLEAN; we know a lot about your cleaning surfaces which is the reason we can provide you with the end of lease cleaning services. Schedule an inspection visit with COMMIT2CLEAN and allow our end of lease cleaning services to make your home as shiny as you have always wanted it to be. Does your home have a mysterious bad smell? If you’ve already checked the fridge and the bins and can’t find the source, it could be that your carpets need a deep clean. If your carpet has a bad smell, consider these five potential stinky sources that may require a carpet deodorizer & professional carpet cleaning in Melbourne. In the same way that a carpet can soak up a stain, carpet fibers can trap odors, making them linger in your home indefinitely. If you think your carpet could be the problem, consider the possible sources of the door. Sometimes, moisture can get underneath the carpet and carpet pad, leading to musty odours. This moisture can come from humidity, spills or potted plants that drip onto the carpeting. A flood can also carpet odor, such as when a finished basement floods during a rainstorm. If not addressed properly, continued moisture exposure can cause mold and mildew to grow under the carpet padding. Not only will it increase the smell, it also creates a health risk. When pets use the carpet as a bathroom, the smell can really linger. Even after a carpet cleaning, the smell of pet urine may return. This is due to the gases released by the bacteria that are digesting the urine. If any of the urine remains in the rug fibers, it will continue to smell. The same is true for vomit, another common problem associated with pets and carpeting. These bacteria are activated by water, which is why the smell may intensify after a thorough cleaning. Dry carpet cleaning treatments or treatments that use enzymatic odor removal products are the best solution for eliminating pet smells. Enzymes are particularly effective because they attack the bacteria, thus eliminating the source of the smell. If a smoker lives in the home, the carpet can collect the cigarette smoke odour. While the homeowners may not notice the stench because they live with it, visitors or someone who purchases the home will definitely notice the smoke smell. A professional carpet cleaner may be able to remove the smell, but if the smoking was excessive, a carpet deodorizer may not be enough, and the carpeting may need to be replaced. Carpeting is made from fibers. Over time, those fibers break down. When the carpet begins to smell old, there is little that can be done. Carpet cleaning cannot take the old, musty smell from carpet. This is when it simply needs to be replaced. In addition to the smell, old carpet starts to release dust, which can contribute to indoor allergies. Food and drinks that spill onto carpet can lead to odours. Like pet smells, these organic products attract bacteria. As the bacteria break down, they release smelly gasses. Again, professional carpet cleaning is the best solution to remove the smell. Once you find the source of your carpet odor, you can decide on the best treatment. For organic smells like pet odors or food spills, consider two professional cleanings to thoroughly remove the bacteria. For other problems, like old age or mold, you may need to replace the carpet. Knowing where the odor is coming from will help you make the right decision for treatment. Carpeted floors can either make or break how your entire interior looks. In most cases, having a carpet or rug will liven up a room that would otherwise look drab and boring. An all-white room can look less sterile with colorful carpets. A carpet also serves as an insulators on the floor, leaving your feet comfortable and your heart warm. In addition to the warm and cozy ambiance a carpet can bring to your space, it also acts as a good padding to absorb sound and prevents injuries related to slippery floors. The thing is, your carpet can also trap bacteria, allergens, dust and other substances. In a way, it can help you to stay healthy because you won’t have those floating around. However, from another point of view, carpets acts as storage bins for those dirty and disease-causing things. This means that if you leave your carpet without carpet cleaning services for too long, these germs and allergens will just accumulate under your feet and might even cause illness to you and your family. Let’s face it, even without knowing what microorganisms are trapped in it, a greasy, discolored, foul-smelling carpet is too disgusting. You just can’t leave it be. Carpet cleaning must be done! You can either hire a professional carpet cleaner or you can perform the carpet cleaning by yourself. Let’s compare these two options so that you can decide which carpet cleaning option is best for you. It might sound so simple, but the task can be challenging. When you’re referring to a small rug that you are using as a centerpiece in your room, it can be feasible. However, if we are talking about the kind of carpet that spans all the floor area of the house or office, it’s probably better to leave it to carpet cleaning specialists. First, when you do rug cleaning by yourself, how sure are you that you’re really getting rid of all the bacteria and allergens trapped in the rug or carpet? Secondly, rugs and carpets can be quite heavy, making the cleaning process difficult. Rugs and carpets – especially exotic ones can be quite expensive. Carpet cleaning by yourself might cause some damages and it’s simply not worth the risk. If you want efficiency and convenience, get a Melbourne carpet cleaning specialist instead of handling it by yourself. They can ensure that your rug and carpet will be cleaned thoroughly. The carpet cleaning will also be done in an organized and timely manner. You can even go for services such as steam cleaning carpets. Professional carpet cleaning can also handle your rug and carpets appropriately, adjusting the type of cleaning depending on the carpet material. Choosing this option absolutely minimizes the risk of damage. Think about the carpets and rugs that you need to be cleaned. Are those something that you can handle by yourself? Do you need help? We are ready! Commit2clean Carpet Cleaner Melbourne – 118 Reviews in Melbourne | We are a “5”Star rated Company On Facebook and Google.